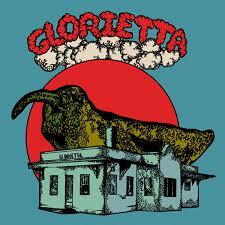 There is more than a hint of The Golden Smog about the debut album from Glorietta. This is a collection of diverse songs recorded over a week in a ‘ramshackle rental’ outside Santa Fe. Gathered together by Matthew Logan Vasquez ( Delta Spirit, Middle Brother), a disparate band of musicians have created an immediate and in places affecting piece of work. ‘Lincoln Creek’ is a simple, hymnal pean – acoustic guitar and melancholy vocals ultimately accompanied by some gorgeous harmonies. Lovely. ‘I Know’ features a guest appearance by the redoubtable Nathaniel Rateliff in a track that unwinds through a synthesiser cloud onto a dirty guitar and deeply funky groove. ‘Someday’ could be Father John Misty with its warm delivery and sumptuous vocals. The influences and signposts come very easy – ‘Loser’s Lament’ could be a Tom Petty number circa ‘Wildflowers’ but perhaps not quite that good! The vocals on ‘Golden Lonesome’ and the languid backbeat has Ryan Adams written all over it including the judicious use of reverb. The problem with a 5-day jam put on record is that despite some fantastic creativity there is also the tendency not to edit out the dross and ‘Mindy with Fade’ could be the Edgar Broughton Band! That the beautiful ‘Las Estrellas’ follows is both illuminating and redemptive. A mixed bag but an interesting one.